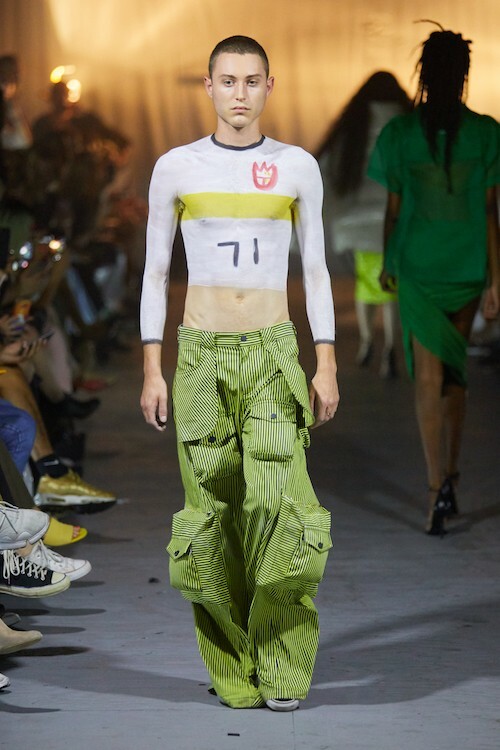 Tightly packed in an un-air conditioned room in NYC’s Chinatown (just down the stairs from COOLS HQ, as a matter of fact), an eager crowd watched in awe as Raul Solis of LRS sent his friends down the runway sporting his SS19 collection. 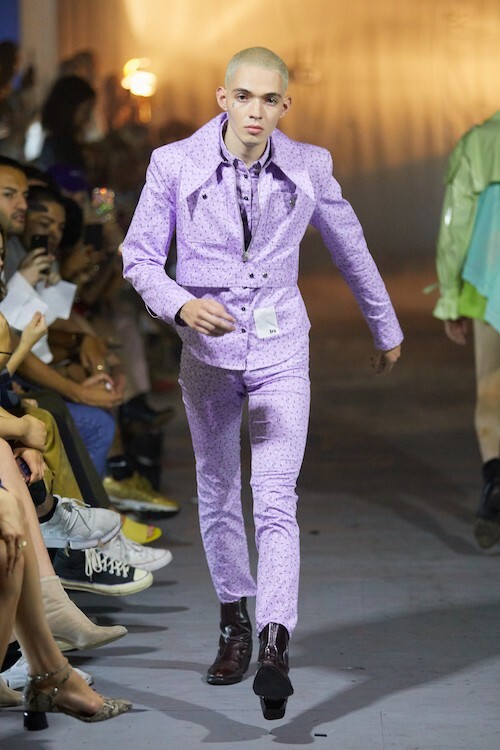 Take note: the shock factor was not due to the fact that the models were friends of Solis, it had more to do with the clown makeup worn by one and aggressive, emotive walks down the runway by others. 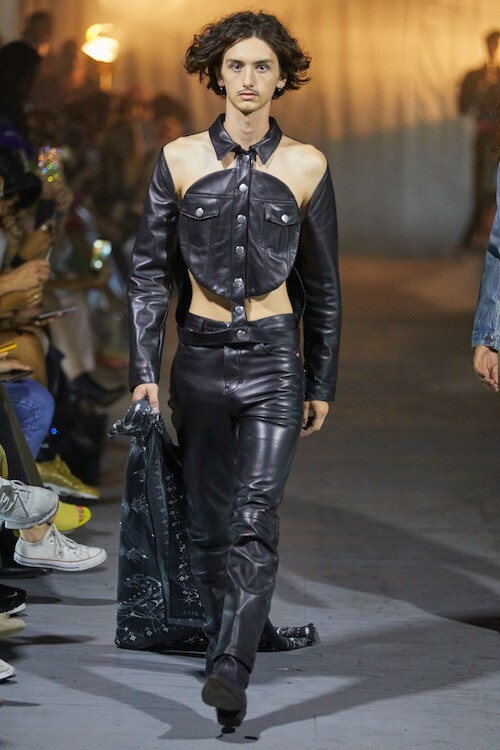 This model behavior perfectly highlighted the angsty chaos that was the LRS collection. 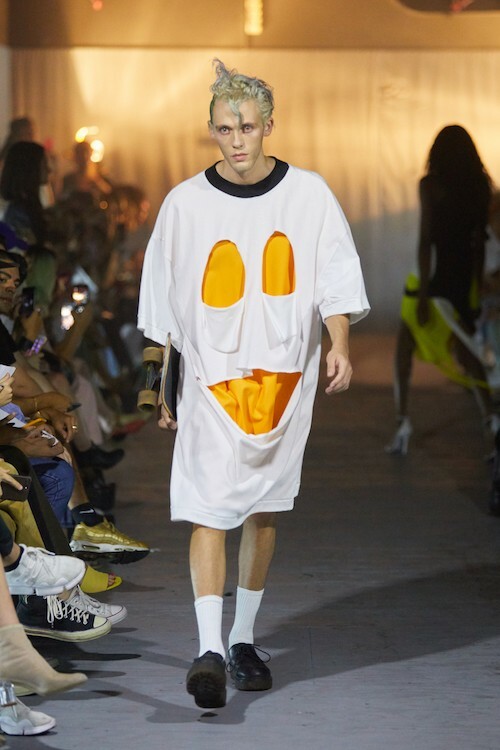 Defined by see-through cover-ups, basic denim, and on-trend streetwear elements from hoodies to cargo pants, the collection was complete with ghost faces cut out of oversized t-shirts, devil ears crafted onto hoods, shirts painted onto models’ bodies, and geometric cutouts strategically designed within garments. Solis tried to find a balance within conflicting notions throughout the LRS collection. Inspired by the duality between chaos and control, he incorporated design elements that showcased the search for equilibrium.